The School of Engineering Sciences carries out a wide range of research at the international front line, from fundamental disciplines such as physics and mathematics, to engineering mechanics with applications such as aeronautics and vehicle engineering. We also offer University degree programs in engineering Physics, Vehicle engineering, Engineering and Education, and “Open Entrance”, as well as a number of International Masters Programmes. The Linné Flow Centre (Visit Official Website.) 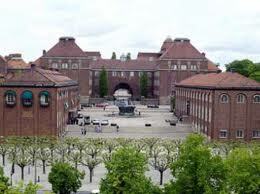 organizes research in fundamental fluid mechanics at KTH and is one of twenty original centers of excellence set up by the Swedish Research Council (VR). The centre was established with a vision as an outstanding environment for fundamental research in fluid mechanics, where innovative research is born and future research leaders are fostered. The group of Stability and Transition within the Linné Flow Centre invites applications for a PhD position on the stability problem behind a bluff body. The bluff body geometry is found in many engineering designs, such as on most vehicles, bridges and skyscrapers just to mention a few, but is susceptible to an absolute instability when subjected to a simple main stream. This instability manifest itself in terms of shed vortices from alternating side of the body with a fixed frequency for a given main stream. The rolled up vortices are distinct and strong and may induce devastating periodic side forces, which can lead to structural vibrations and material fatigue. Other misadventures caused by this instability are increased aerodynamic drag and acoustic noise generation. A better understanding of this instability is therefore essential in the search for control methods, which may tackle the problem of vortex shedding from the body. In this project the aim is to experimentally study the instability of wakes behind bluff bodies from a fundamental research point of view, both for the natural case as well as with various wake flow control methods applied. This is realized in a new experimental setup specially designed to perform parameter variations, which are most often not possible in usually fixed experimental geometries. The goal is to enhance the understanding of how the initial conditions of the bluff body wake affects the flow instability behind bluff bodies and the effect of different means of flow control that are applied. Finding means to reduce or even kill the often devastating vortex shedding in the wake of bluff bodies can contribute to safer designs of structures and reduced energy consumption by vehicles. We seek highly motivated candidates holding a Master of Science degree in engineering or applied physics, mechanical engineering applied mathematics or related areas, as well as good skills in oral and written communication in English. Also, the applicants should possess the ability to work independently. A successful candidate is expected to join the Stability and Transition research group at the Linné Flow Centre. The position will include about 80% research and 20% teaching assistance. Write reference number in the email subject. Applicants about to finish their M.Sc. degrees may be considered for the position. The final decision is expected to be taken latest in the beginning of June, 2011. Demikianlah informasi mengenai PhD student position at the Linné Flow Centre at KTH Royal Institute of Technology semoga berguna bagi anda.